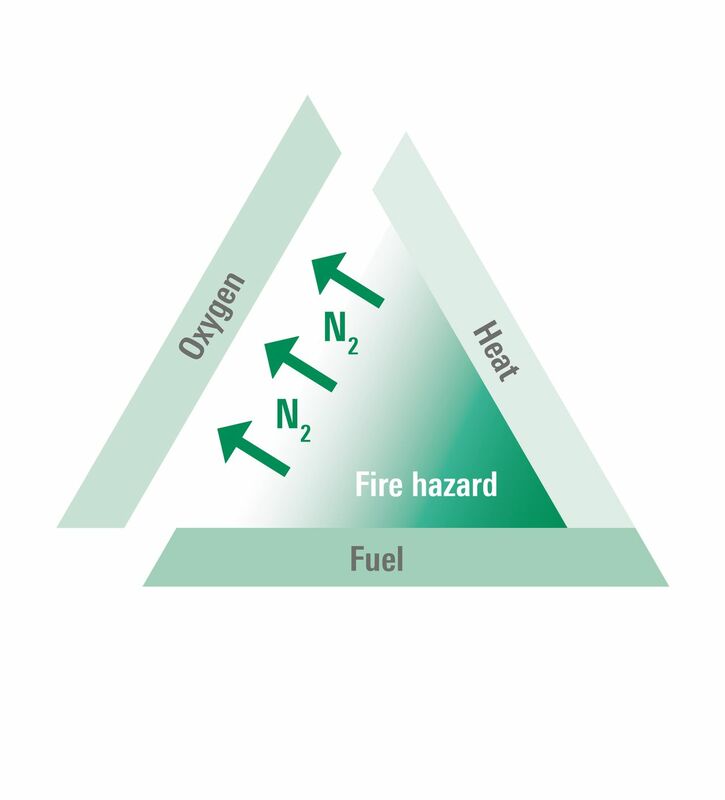 Active Fire PreventionSystem | How OxyReduct® Hypoxic System Works - WAGNER Fire Safety, Inc.
To start, fire needs a certain level of oxygen, heat and fuel. If one of these three components is missing, a breakout becomes impossible. This is the basic principle behind OxyReduct®. Releasing carefully controlled amounts of natural, non-toxic nitrogen into the protected area, OxyReduct® reduces the oxygen content in the air to just below the level needed for a fire to start. Fires can neither ignite, nor spread; people and facilities remain safe and protected. Since OxyReduct® generates the nitrogen needed to regulate oxygen levels directly from the ambient air, it saves both money and space. In contrast to conventional sprinkler systems, which require large water tanks and storage space for copious amounts of extinguishing agents, OxyReduct® only takes up a few square yards. 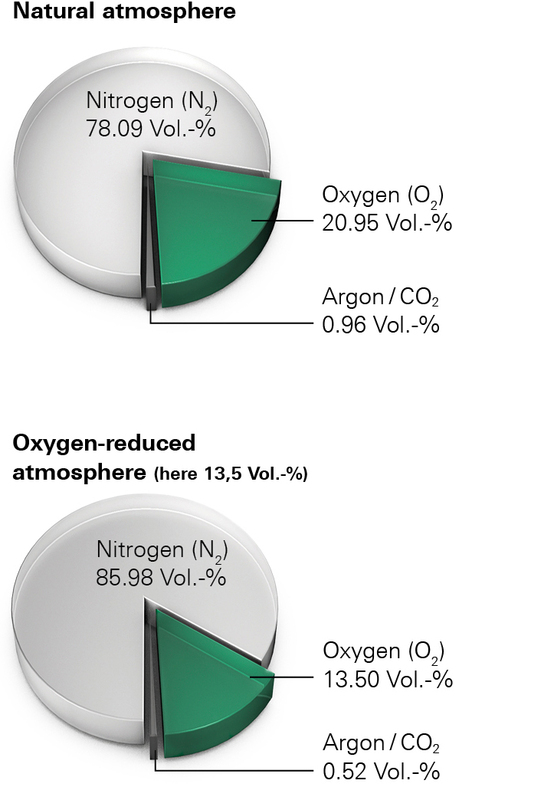 Nitrogen is an essential component of our atmosphere - accounting for 78% of the air we breathe. 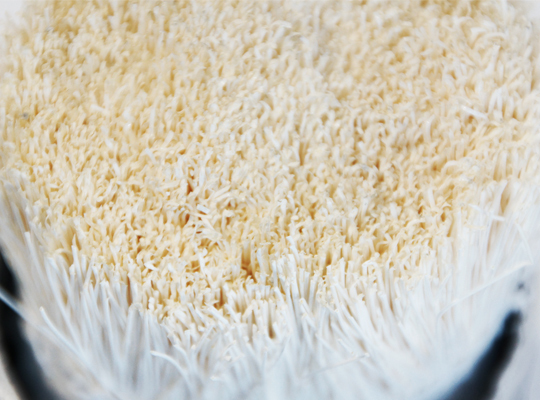 It is natural and non-toxic when introduced into the surrounding air. Chemical extinguishing agents, on the other hand, can break down at very high temperatures, creating new compounds that are corrosive and dangerous to human health. Nitrogen also distributes evenly and permanently, fully protecting every corner of the designated area. Pressurized ambient air is pushed through a bundle of polymer fibers, separating oxygen and nitrogen molecules. Oxygen diffuses through the fiber walls, while the larger nitrogen molecules flow past the fibers through a network of pipes into the protected area. The membrane method ensures a continuous flow rate. 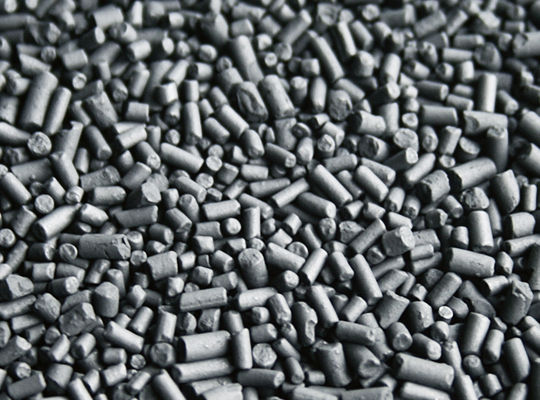 Oxygen and nitrogen molecules are separated from one another using carbon molecular sieves (CMS). The air is compressed to a slight overpressure level of 1-2 bar (in the OxyReduct® VPSA model) and 6-8 bar (in the OxyReduct® PSA model), then pushed through the CMS bed (filter) into two identical containers. OxyReduct® has been fully tested and approved for human health and safety. As part of the onboarding process, companies introducing OxyReduct® conduct a comprehensive risk assessment in accordance with official rules and regulations, and implement special technical and organizational measures as needed to maximize safety. In a further nod to the system’s outstanding quality and reliability, OxyReduct® is the first active, low oxygen fire prevention solution certified by VdS, Europe’s #1 independent body for fire protection and safety.